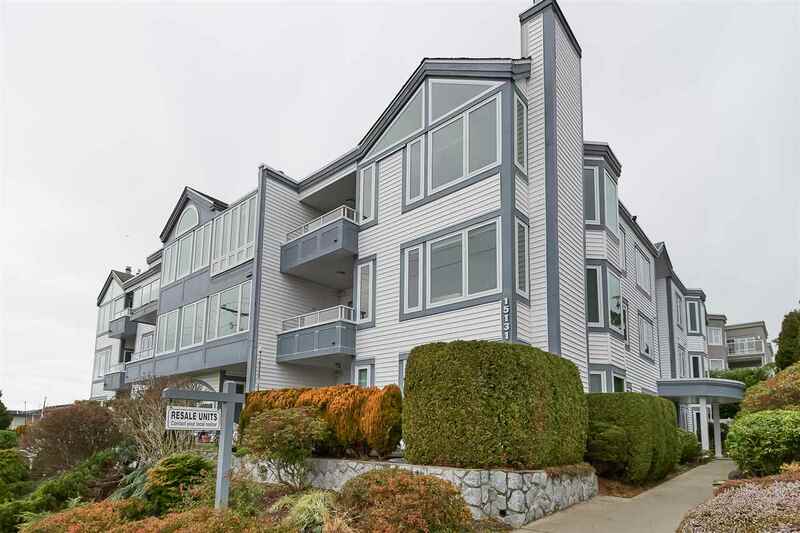 Spectacular south and southwest ocean views from this 2 bed, fully renovated White Rock condo. Move in and enjoy the open plan living space with a view from every room. The condo has been tastefully renovated and includes custom kitchen cabinets, granite counters in the kitchen and bathrooms, stainless steel appliances, hardwood throughout (no carpet anywhere) and tiled flooring in both bathrooms. The enclosed balcony makes for a perfect sun-room and the other balcony is over-sized, allowing for generous seating and a BBQ. With only 18 homes, all new windows and a very proactive strata this is a rare opportunity. Short walk to 5 Corners, known for it's restaurants, shops and yoga studio. 1 pet allowed and 1 parking stall included. Floor Area 1,133 Sq. Ft.